Poet, writer and Nobel Prize winner Česlovas Milošas was born in Šeteniai, in a modest estate of Zygmantas and Juzefa (Sirutytė) Kunats, the parents of his mother Veronika, on June 30, 1911, and was baptized in Šventybrastis Church located near Šeteniai. His grandparents from his mother's side Sirutis were buried in the cemetery of the same town. The history of the museum began when Lithuania regained its independence, when the artist and emigrant of Lithuania Janina Monkutė-Marks had an idea to give away her works to her homeland. 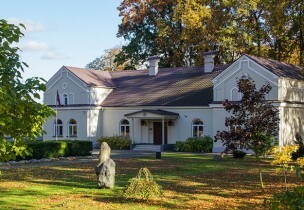 Kėdainiai Regional Museum is one of the oldest in Lithuania and established in 1922. 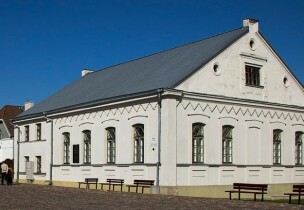 The Mausoleum of Dukes Radvilas is a department of Kėdainiai Regional Museum. The crypt was restored in the Evangelical Reformed Church (middle of the 17th c.) in 1995, while the restoration of the unique 17th century sarcophagi of Dukes Radvilas was complete in April of 2001. It was the first cemetery of the nobility of the 17th century Grand Duchy of Lithuana restored in Lithuania, which was established in one of the oldest and largest churches in the former Republic of Two Nations. 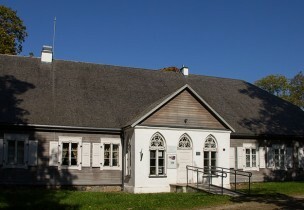 The museum was established in 1965. Its exposition, formed from Kėdainiai museum collection items, tell the story about a writer, folk educator, the author of "Balanos gadynė", book smuggler and the first certified Lithuanian agronomist Mikalojus Katkus (1852–1944), as well as about the village life at the beginning of the 20th century. It is the former small winter synagogue, constructed in the first half of the 20th century. It was restored during 2000–20002 and the Multicultural Centre was established there. The author of reconstruction and restoration is architect Diana Pikšrienė. 55 oak sculptures made by the well-known sculptor Vytautas Ulevičius are exhibited here on the subjects of history, mythology, religion, nature and work. 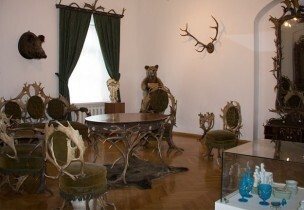 His works reflect the Lithuanian culture with a stylistic expression typical only to the author. The artist's inspiration comes from traditional Lithuanian folk art and national culture.